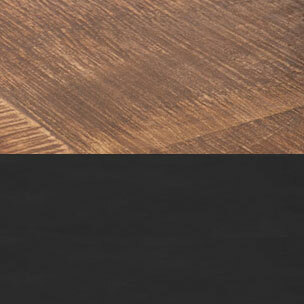 Enduring burnt finish, with striking lines brings rusting charm to a clean shape. The black angled legs with two small and four wide drawers are hand crafted from solid mango wood. Six drawers provide ample storage space to store all your knick-knacks of around the room, crockery of the dining, favorite books and more. Perfect for small spaces, all sorts of installation for the product will be done by our delivery team.